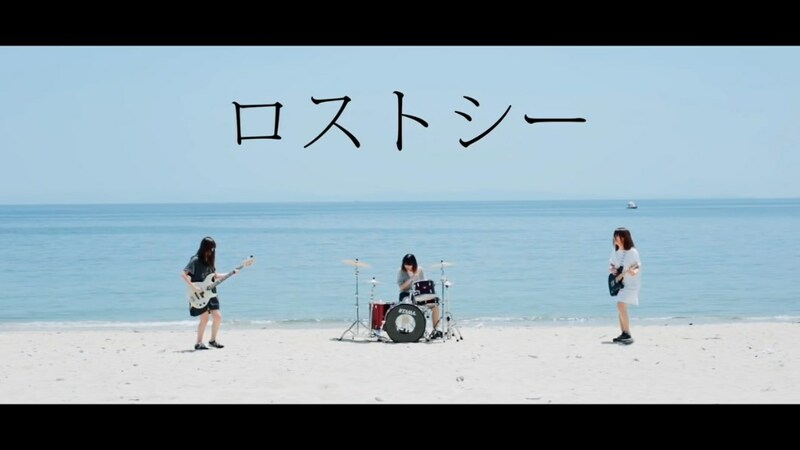 Another song translation of a fairly new indie “girl’s rock” band because I can’t be bothered to sit down and study for my board exams why not? ロストシー (Lost Sea) is coming off of Split end’s second single release, and compared to their earlier releases they’re sounding real good – almost ねごと(negoto)-like in their delivery, while keeping that “girl’s rock” feel. A fleeting summer romance? That meaning would seem to fit, lest I messed up some of the nuances in the phrasing of the song. Hopefully I did it right, as it didn’t seem like that hard of a song to translate upon first glance. I did have some trouble translating ” 明々白々” [meimeihakuhaku] — a fun, almost idiomatic Japanese expression. I did not again have someone more proficient in Japanese edit these, so do take it with a grain of salt. And I do again implore those who that do moonspeak offer their comments down below. Finally, by all means feel free to share your thoughts about the song as well. This entry was posted in Song Translations and tagged ロストシー, lost sea, lyrics, song translation, split end by Leap250. Bookmark the permalink. I will! Girl bands rock! 😉 Your blog is awesome you inspired me to finally put my study to use, I’m working on my first translation for a tricot song right now! and yes, girl bands rock. Oooh, more tricot love 🙂 I’d love to read it! One more thing you must have a last.fm right? I can see we have very similar music taste. Nice~! Yeah, I can imagine. They only sold those during live shows (shame since raincoat is really good too). Ah, might I suggest similar bands then? Try and give Hump Back (https://youtu.be/Grn_hD2PrY0) and yonige (https://youtu.be/F3tnfgZhJME — I also do a TL for this one :D) a listen. Oh yeah, I used their lost sea single in the latest episode my vlog! Oh yeah, before I forget, thanks for this too. I really like split end. They even answer youtube comments! Haha! Feel free to check out the other ones that I did too. Not that there’s a whole lot, but you might like ’em seeing as our tastes for music appear to be quite similar. I did, thanks to you I got to listen to Hump Back, which is also good. Really emotional lyrics on that one. I saw on your jpopsuki profile, polkadot stingray and serina!